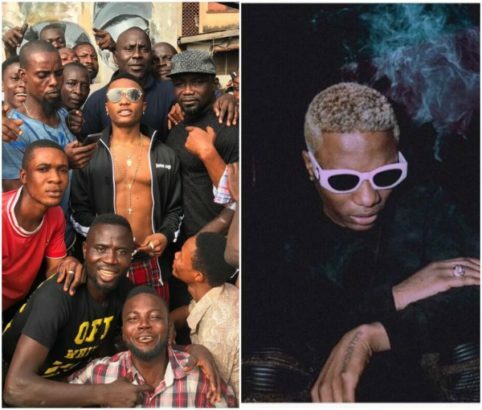 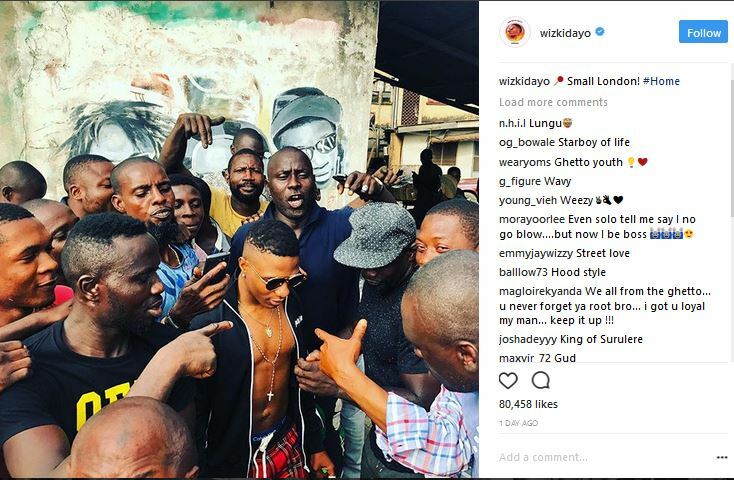 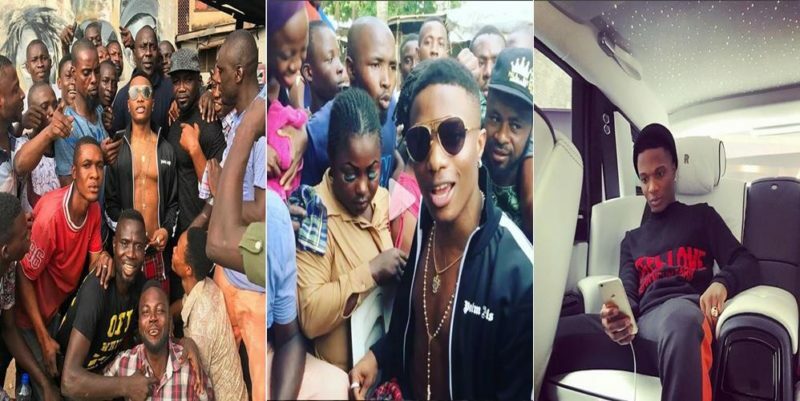 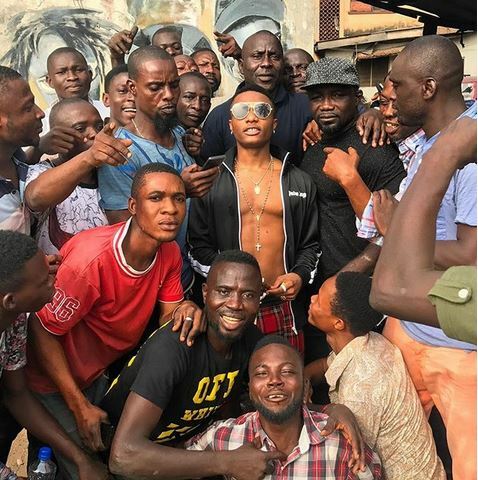 Nigerian singer, Wizkid who is presently in the Country after a fresh tour with American Born Rapper, Future who visited his hood in Surulere area of Lagos State yesterday. 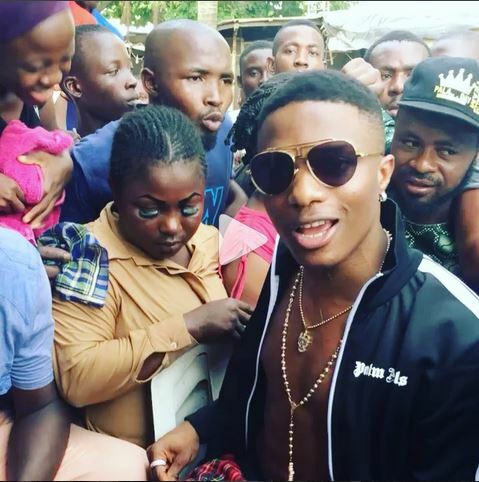 During the visit he gave the physically challenged people he met there 100k each . 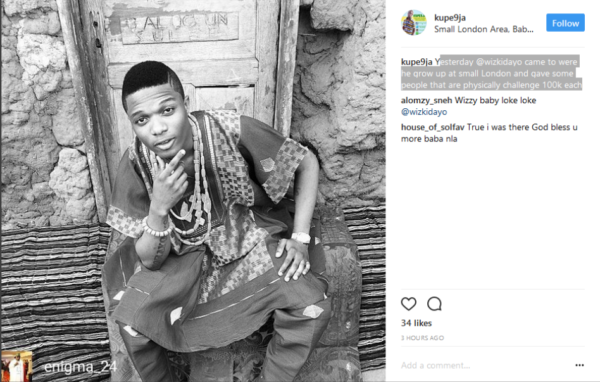 Some of his followers on instagram have also confirmed this.